The Geelong College, founded in 1861, is one of Australia’s finest co-educational day and boarding schools. We have an enrolment of over 1300 students at two campuses with a Junior School (Early Learning to Year 3), Middle School (Year 4 to 8) and Senior School (Year 9 to 12) located in the the heart of Geelong and within easy reach of the city centre. Our mission is to create outstanding opportunities for our community of students, encouraging and inspiring all to be positive contributors to our world. Boarding commences at Year 7 for boys and girls. We have two very comfortable boarding houses which are home to over 90 boarders from regional Australia and from overseas. The warmth and ‘extended family’ atmosphere of both houses reflect the way they are internally structured and the friendly nature of students and staff alike who work and live there. Our international students settle in really well and integrate easily into life at a boarding school. They are well supported at many different levels both academically as well as socially and emotionally through our wellbeing program. Our daily routines provide a structure, such as study time, sporting and social activities. Teachers also make themselves available after school and in the evenings for extra tuition. Food is excellent with varied, tasty and healthy menus as we have our own dedicated catering team. Meals are served in our historic Dining hall each day. Our diversified program provides the students with a well-rounded education experience where they learn 21st century skills, are involved in project based learning, inspired to make a difference through community programs and have a wide choice of subjects to study. In addition students are mentored as part of their career counselling to ensure the right subject choice and university selection. As a result the College has a very strong and successful academic record where over 99% of our students apply to the leading universities such as Deakin University, Monash University, University of Melbourne or RMIT. Students genuinely love their time at the College and lead busy, rich and fulfilling lives whilst here. Words and images can only convey so much of the richness and diversity of our community, so I warmly invite you to come and visit us, to meet our staff and students and to experience the College for yourself. I obtained my VCE from Geelong College in 2003. After that, I received a scholarship to study a Bachelor of Philosophy (PhB) degree majoring in biochemistry and molecular biology at Australian National University. PhB is a unique degree from ANU that tailors for high-achieving students and prepares them for a career in academia by offering a research focused undergraduate degree. During my undergraduate studies, I did an exchange semester at Stockholm University. After Sweden, I returned to ANU and completed my Honours research project at the John Curtin School of Medical Research under Professor Chris Parish. I was winner of the University Medal and recipient of the Janet Elspeth Crawford Prize recommended by the Dean of the Faculty of Science. I continued on with research and completed a PhD in molecular immunology at the Walter and Eliza Hall Institute of Medical Research. My project investigated how cells in the immune system perceive cues from viral infections such as influenza and translate these cues into forming an appropriate immune response to defend the body from invading pathogens. My study resulted in authorship in high-ranking academic journals including Nature Immunology and Immunity and part of the study was chosen for presentation at the 14th International Congress Of Immunology in Kobe. I was the sole recipient of the Australian Academy of Science Adam J Berry Memorial Scholarship in 2010 and completed a traineeship at the National Institutes of Health in the US under the prestigious Dr Warren Leonard. I have since pursued a career in medicine and am currently studying my 2nd year of the postgraduate degree at St Vincent's Hospital (a clinical school belonging to University of Melbourne). Boarding at the Geelong College was the most amazing and unforgettable experience I've ever had. Being away from home (Jakarta, Indonesia) surely was not an easy thing to do, but it was very easy to call The Geelong College my new 'home'. In an instant, the people I met became my new family –family from all around Australia and all over the world. The friends I've made are now friends for life. We went through almost everything together. We laughed and cried together. When you're homesick, there will always be friends to cheer you up, and they all know how you feel. I learned everything from becoming independent to becoming a leader. I developed my love of baking and cooking in the boarding house kitchen. On year 12 I was voted as one of the girl's boarding house prefect. 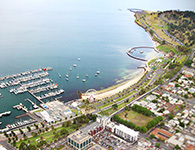 The Geelong College provides quality formal education, and it pushes the students capacities/abilities to the limit. I enjoyed learning music. I have always enjoyed music. The Geelong College gave me so much chance to improve and be involved in music. Music lessons were provided at school, and of course I took that opportunity to learn to sing, play the guitar and drums. I also joined the school's Stage Band where I could channel my love of Jazz. I won several 'Best Vocals' with them. Upon learning music as a subject, I was chosen to sing at the VCE Top Class in 2012, an event to showcase students from all over Victoria who had a high score on their music performance exam. It started from singing in my little room, to singing in front of over 900 people. It was such a big achievement for me, as I was once a shy girl who wants to sing but didn't have the stomach to be heard. The Geelong College has really helped me become the better and improved person I am today. I cannot express how very grateful I am of the people I met, of the experience and of the opportunity. I am now studying film at Deakin University, working on starting an online patisserie, and I still sing.